I seem to have encountered a rather serious technical problem, whilst I can upload scans and type text, I cannot embed audio files. As yet I am unable find a way to resolve this problem, but I am working on it. In the meantime I will list the URL link to the relevant audio file; Copy and paste the link into your browser and hopefully it will take you to the audio file where you can hear the music and download the track if you so desire. When I eventually figure out this problem I will edit these posts and replace the URL link with a player. Looks like we're back to normal now, so I'll be uploading some more material later this week. 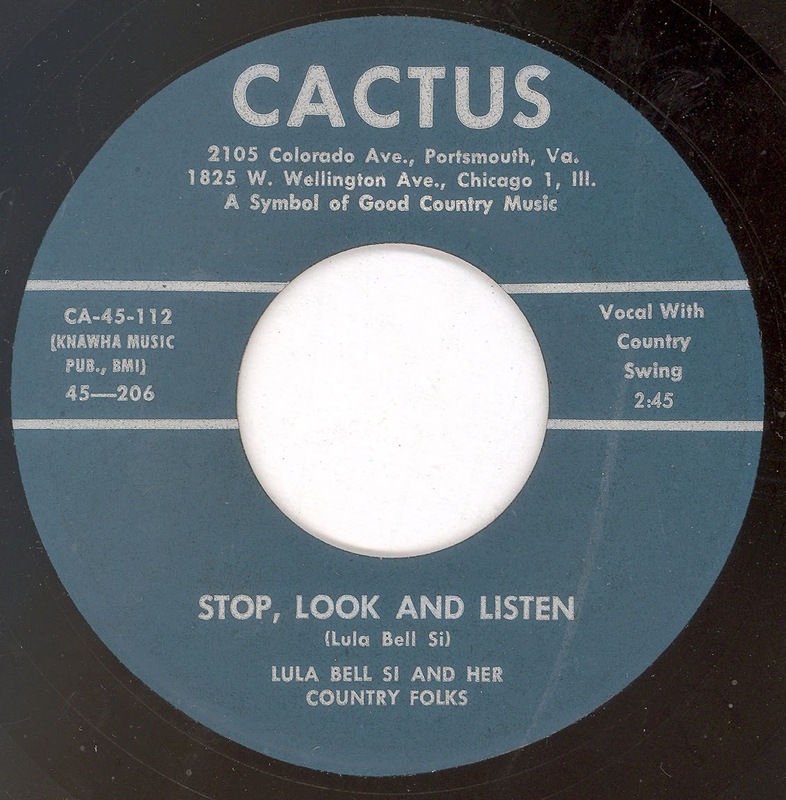 Down to business now, recently Lula Bell Si's name has cropped up on a couple of blogs (one of which was somelocalloser). Nice to see her material reaching a wider audience, and her HAMILTON recordings are jolly good and deserve to be heard by more people. 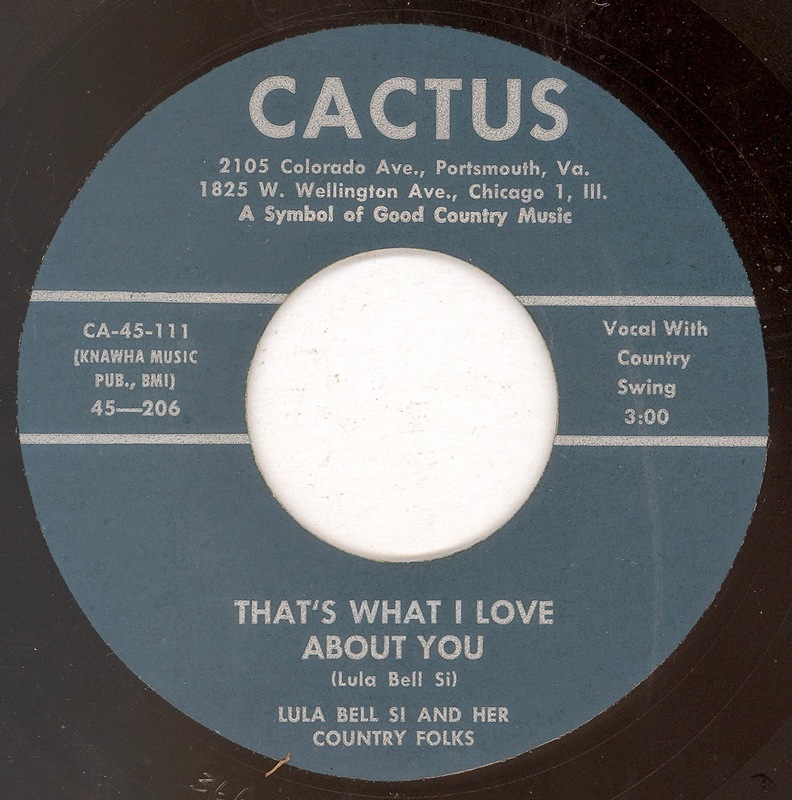 Lesser know is her solitary CACTUS offering, relatively obscure but quite a gem.